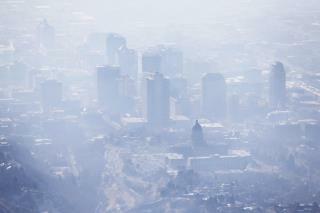 (Newser) – Just because air pollution falls below legal limits does not mean you're safe. Indeed, there is no "safe" level of air pollution as pollutants cause an increased risk of premature death even when detected at a fraction of the legal limit set by the EPA, a new study finds. "We are now providing bullet-proof evidence that we are breathing harmful air. Our air is contaminated," Francesca Dominici, the lead author of the Harvard study published in the New England Journal of Medicine, tells NPR. Researchers used a computer model to assess levels of ozone and fine particulate matter by US zip code, then determined what effect the pollutants had on one’s risk of premature death using data on 97% of Americans 65 or older, reports the Los Angeles Times. It is easy to state a cause of death because of this or that, because even though we live longer today, we still eventually die and everyone seems so upset over dying. This Republicans are trying to kill people is getting real old. The crap we eat, disease, terrorism, and crime are much more dangerous than the air we are currently breathing. Democrats want to take us back into the stone age. The cleanest air in the continental U.S. is in northeastern Nevada, in the northern reaches of Elko County. What an irony, that the population of this part of Nevada is almost nil.